It was Jesus’ idea to row to the other side. With His disciples, He left the crowd behind, and traveled by boat to a new place on the far side of the lake. A furious storm suddenly raged. Waves crashed over the boat, and they nearly drowned. Meanwhile, Jesus slept on a cushion in the stern. If you think about what he had been doing before this little boat ride, his deep sleep makes perfect sense. At least from my introverted (and sometimes-exhausted Mom) perspective. He had been teaching crowds of people, eating meals with people, and traveling about talking with them and healing them. 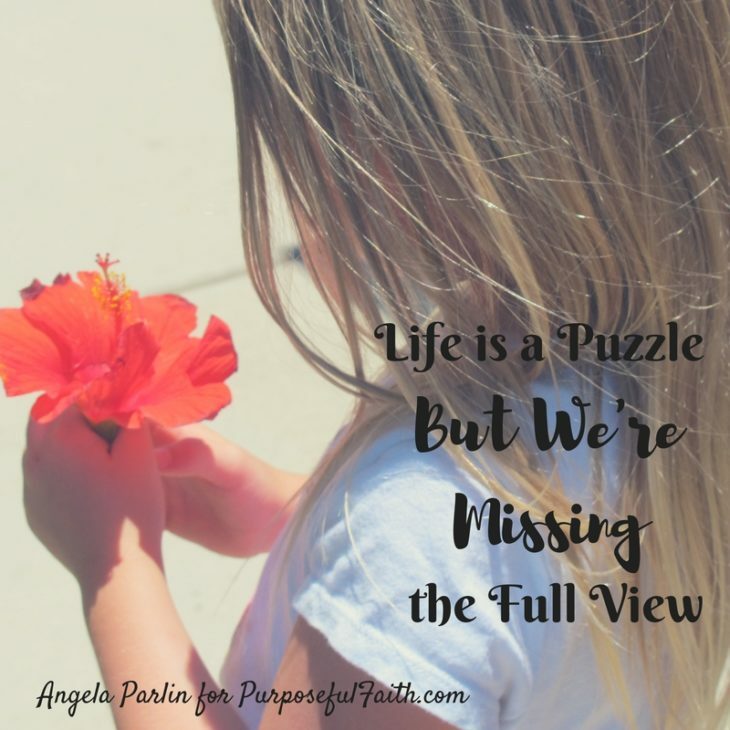 Head to Angela’s Blog to read the rest of this post! Also, LINKUP your own encouraging post there for the #RaRaLinkup this week. My 3-year old daughter and I were playing a game. She was behind a box “counter”, I stood in front of it: ordering. I was supposed to buy some food, because, this was a restaurant. My jaw dropped. She nailed it. So many of us internally chide our self with this same kind of diatribe, as if God says this to us. As if this is how we are supposed to cope with life. As if, we are meant to get a crumb and tell our stomach to feel okay with it. Now don’t get upset!!! Yet, somehow I think we’ve got it all wrong. God never told us to lie. Outside we look like a gracious kid at a candy shop, while inside we are throwing a fit like an irate toddler because we’re unseen by the world, unrecognized for who we are and uncared for. I notice Paul, in the verse above, mentions the words, “I have learned. . .” Why are we ashamed of learning? Of journeying? Of admitting we feel the struggle? So often, we already can sense when this is the case with someone. Why do we hide so? “And we all, who with unveiled faces contemplate the Lord’s glory, are being transformed into his image with ever-increasing glory, which comes from the Lord, who is the Spirit.” (2 Cor. 3:18). Today, consider this: In the light of God’s glory, there is no shame in transforming. I’ve battled the tightness of chest, the shakiness of body and the uncertainty of what is to come for quite a while. Only recently have I been able to win the war against what seems incurable: my anxiety. Do you suffer from it? For so long, anxiety crept up on me like a lightweight spider; I didn’t know he was on me until his poison sank in. Then I knew, I was in for it. He saturated me in a way where it felt impossible to get well again. To fix things. Maybe you’ve been there. I wouldn’t wish it on my greatest enemy. Anxiety has ruined family vacations. It’s made me snap like an explosive. It’s caused many a sleepless night. It’s made me angry at myself. What has it taken from you? What has this poison done in your body? Life? Only recently have I started to make headway against it. Step 1 of progress is in acknowledging this: My anxiety is due to a gap I do not internally believe I have the power to bridge, control or fix. Step 2 is deciding I am in charge of my feelings. No one else has the ability to: 1. Tell me how to feel. 2. Make me feel a certain way 3. Force me to have feelings or to act a certain way. With this, I can imagine a holy box of God around me. In this space, I am permitted to feel as I feel without feeling bad about it. In this space, I am able to present to God the actual emotion I am feeling and the cause that set it off, without living under the weight of crushing judgment. Why can I do this? Because Jesus is my advocate. He forgives, heals and helps. He is behind me and for me. He also wants me to discover his peace. He loves me. Step 3 is saying this: God, I do not have the ability to figure ______ (insert the trigger of the issue here) out. I need your help with how to respond. Will you show me how to stay with you in this space and place that feels scary? Will you show me how to lean on you when I am not sure how people will react or how well I will do? Will you be my protection as I respond in a way that is truthful – to you and to others? I can hand over to you the person, place or thing that is troubling my heart and be with you in the moment. Here, you will lead me and prompt me to move with your love, grace and mercy towards myself and towards others. I can trust you to be with me, even when I feel all alone. 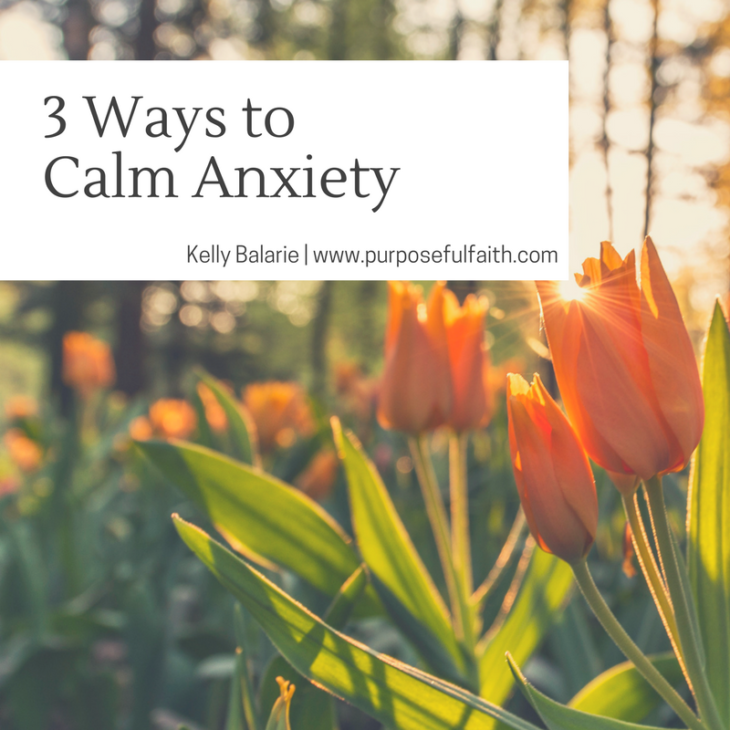 This 3-step process has literally been my saving grace. When I feel the poison starting to rise up from within me, God’s grace towards my constricting heart makes all the difference. It frees me. The secret is: you gotta catch it early. Right when it starts. And, when you don’t, it’s okay. Just try again next time. Prayer for women like me who struggle like this: Dear God, here we stand before you, women who don’t have it all figured out, women who want to be better, women who struggle inside our own bodies. God, will you help us to rely on your truth instead of our feelings? Will you help us to put up healthy barriers between us and the world? Will you help us to take your peace you’ve given us and to keep it? We need you. We can’t do it alone. Please be our guide, Lord Jesus. You are the answer every time. We trust your ways and want to die to our own. In Jesus’ name we pray. Amen. Gilmore Girls – or television in general – might not be the first place you’d look for inspiration or encouragement in your faith, but I’ve found it there. And on top of a list of books to add to my to-read pile and a hankering for Pop Tarts, my favorite TV show has taught me a thing or two about fear and faith. You know things are bad when a Gilmore girl is willing to give up coffee. But that’s exactly what Lorelai and Rory, the main characters in the show, do when they’re trying to avoid someone who’s hurt them. I lost count of how many times Lorelai boycotted Luke’s diner after the two of them had argued, and Rory learned from her mom so avoiding her boyfriend Logan (and their mutually loved coffee kiosk) was an obvious choice after a break-up. Jonah tried ignoring his problems – and God, and that landed him in the belly of a giant fish. Thankfully, my fear has never sent me there, but avoiding people to escape confrontation or further pain has never served me well. Once I missed the baby shower for one of my dear friends because I was too afraid of interacting with the hostess, a former friend of mine who had hurt me deeply. The result wasn’t a seafood sauna, but it was a whole lot of disappointment and regret. When I thought about this – avoiding hard things or difficult people out of fear – I realized that I didn’t need to rack my brain for more personal examples. I simply needed to rewind to the day I began writing my devotional last fall. After getting one daughter off to school and the other to the babysitter, I opened a new document and began to … think of all the reasons I couldn’t write yet. I got up and washed some dishes, then moved upstairs to clean my bathroom sink. As long-time hater of all things housework, I was obviously procrastinating this project I was supposedly so excited to begin. I shouldn’t have been surprised (although procrastination via cleaning is a new variation on a common theme). Though I call myself a writer, I actually find writing a terrifying act of vulnerability and risk. So typical, this tortured writer’s insecurity. And also? So similar to what our Gilmore friends did every time they avoided they people they loved but also feared. Running away and avoiding people and places and projects is messy. It’s foolish. And it inevitably hurts us much more than it protects us. 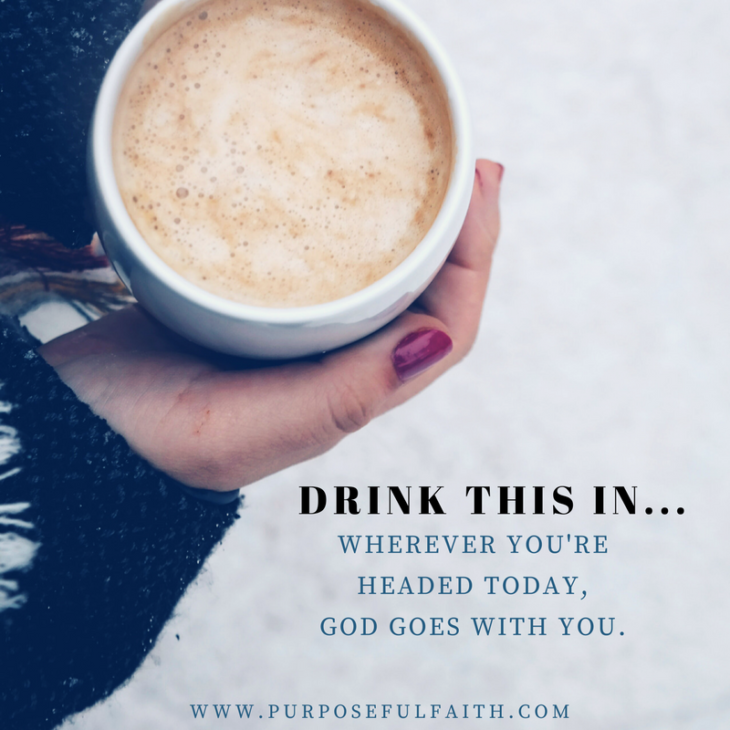 Even without the siren call of coffee, that is enough for me to remember God’s promises to be with us when we face our fears. We don’t have to be afraid, because the Creator of the universe is for us and with us. What – or who – are you avoiding today? Do you think God will abandon you now? No! He will never leave you or forsake you. Today I challenge you – and me – to take one step of faith, make one move of bravery. Let’s stop hiding from our fears and begin to face them, knowing God is with us every step of the way. And, for the love of Gilmores, don’t give up your coffee! 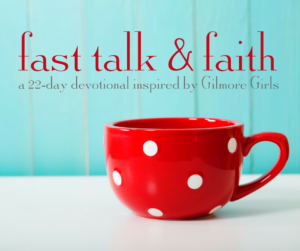 Mary Carver is a writer, speaker, and author of Fast Talk & Faith: A 22-Day Devotional Inspired by Gilmore Girls. She lives for good books, spicy queso, and television marathons, but she lives because of God’s grace. 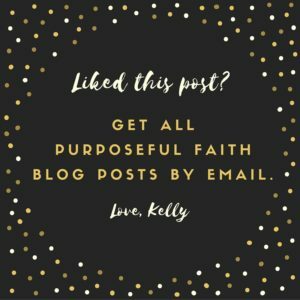 Mary writes with humor and honesty about giving up on perfect and finding truth in unexpected places on her blog, MaryCarver.com. 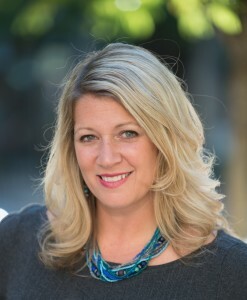 She is also a regular contributor to incourage.me, MomAdvice.com, and MothersofDaughters.com. Mary and her husband live in Kansas City with their two daughters. I had a plan for the weekend. I stuffed an entire suitcase. I packed outfits and shoes for each day. I gathered journals & pens & vitamins & snacks. I confirmed a hotel room. I cleaned the car, inside and out. I looked forward to enjoying the company of some long-distance friends. I was all ready—to run out the door, to drive down the road with a friend, and to soak up all kinds of help I needed at this weekend retreat. I’ll be honest, it had been a long week at home. First, some of the kids were home from school a few days with coughs, and then my oldest struggled through a high fever for days. And then something worse happened. I–the Mama taking care of everyone else–started to feel sick. At first I tried to deny it and told myself I was okay. Mind over matter, right? I tried to stick to the plan. To not be sick. But hours later, I knew. I was not heading out the door for anything, especially a fun weekend retreat. I may have had a plan, but my plan was not going to happen. I’m a fan of making plans. I think we all are, really. We may not all be the Type-A, schedule all the hours, write-it-all-down kind of planners, but we all make plans. It’s a part of life. These last few weeks of sickness were a good reminder that I have so little control over my days, my plans, and the steps I take. But even more than that, it reminded me that I am fully dependent on the Lord. In the verse above, the writer of Hebrews declares our complete dependence on the Lord, in 8 little words. Just before this verse, he encouraged the believers to move forward toward maturity, so that they wouldn’t need to be taught the basic foundations of their faith repeatedly. God’s plan for each of us includes growth and maturity, and we each play a part in our growth. But it’s also true that we don’t completely control it. Instead, we depend on God, even in the area of our spiritual growth. He is the One who opens our hearts and ultimately causes us to grow. 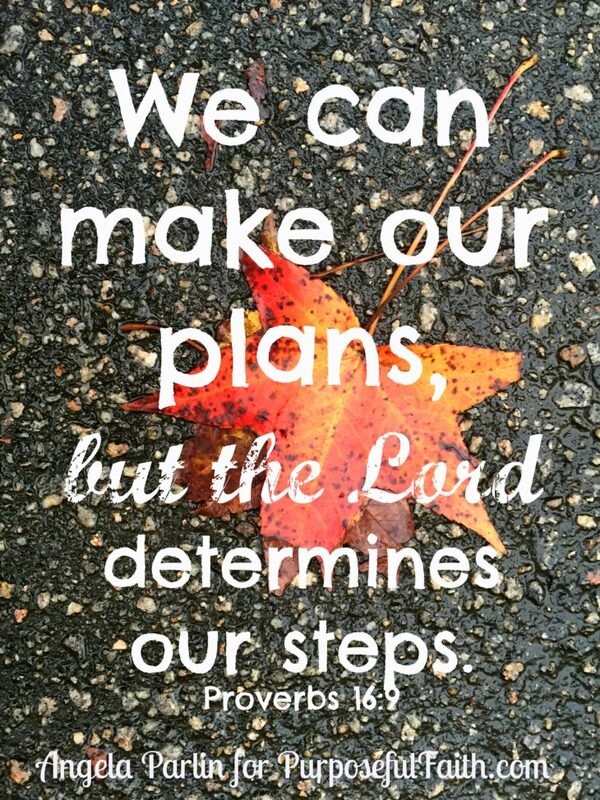 So we purpose to move forward; we plan to do this, and we will, if and when God permits. We are completely dependent on the God who gives us breath, and sometimes that’s easy to forget. In our day-to-day lives, especially these days, we have so many tools for self-sufficiency at our disposal, tools like the internet and vehicles and finances and opportunities and planners in our hands. Even so, our lives are not our own. We live and move and breathe by the will of the Lord our God. Even when we don’t understand what He’s allowing in our lives, His will triumphs over our own. Even when we believe the Lord is leading us one way or another, He has the final say. On the other side of this illness, once again I am certain. He is good. He is in control. And He is worthy of my trust. Praise the Lord. Come now, you who say, “Today or tomorrow we will go into such and such a town and spend a year there and trade and make a profit”— yet you do not know what tomorrow will bring. What is your life? For you are a mist that appears for a little time and then vanishes. Are you in a desperate situation? Does it feel like you’re facing a brick wall, with no way to get around it? Are you struggling to find hope as the season changes? In 1 Samuel 1:1-27, 2:1-11 we read about a woman, named Hannah, who found herself in a time of desperation. Hannah was deeply loved yet she carried around a haunting emptiness. In a time when a woman’s womb was wound up tightly to her worth, Hannah’s barrenness must have flashed “broken” like a neon sign in a dark alley. Not only was Hannah unable to conceive but her husband’s other wife, Peninnah, had children. Not only did Peninnah have children but she provoked Hannah bitterly about her closed womb (see 1 Samuel 1:6). Have you known that sting? It’s salt in the wound when you are lacking yet someone nearby holds the very thing you long for. Maybe they aren’t hanging it over your head but deep down you struggle to celebrate with them. Maybe you are dealing with infertility and Hannah’s account hits a little too close to home? Or maybe you long to birth a book, or have more money in your account, or receive a clean bill of health, or to live somewhere else, or for your husband to be more attentive, or to even have a husband? 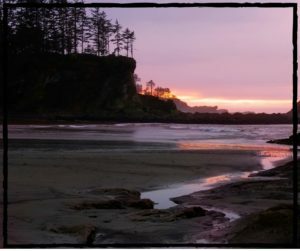 No matter what leaves you empty, I think we can all relate to the ache that Hannah carried. She had a life-giving longing and yet, year after year, she was left unfulfilled. Have you been there? I have. Like Hannah, I longed for a baby to hold. I had three children at the time but God birthed a deep desire to adopt a child. I assumed my God-given desire would be granted in no time; I was wrong. Some nights I crept into the empty nursery and rocked. The tears fell and my arms ached as I longed for this baby. Where was this little life that had been conceived in my heart so many months ago? It is hard to trust God in the dark places, when you can’t see a way out of the tunnel and you wonder if the secret desires of your soul can even be seen at all. But in those difficult times, we can bring our desperation to the Lord and trust Him with it. 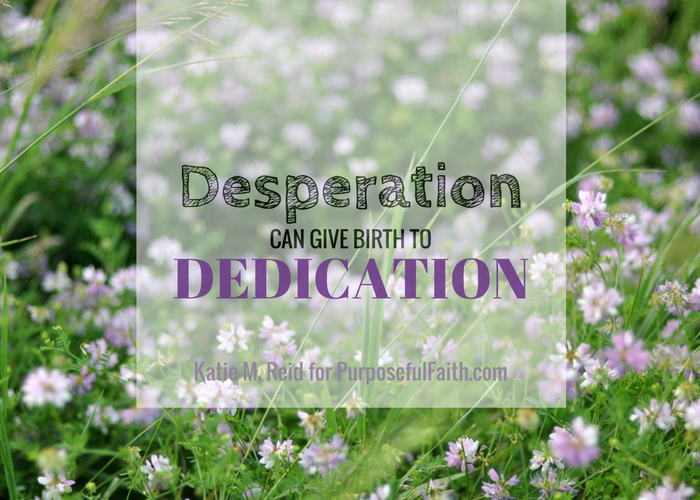 Our desperation can give birth to dedication. My prayer is that we learn from Hannah, not so much that she finally received what her arms ached for, but that in her anguish she poured out her soul before the Lord (see 1 Samuel 1:15). -She allowed God to see the depth of her pain (vs. 15). -She didn’t run from God but ran to Him and asked for intervention (vs. 11-12). -She believed God could do what she had asked of Him (vs. 17-18). Now it came about in due time, after Hannah had conceived, that she gave birth to a son; and she named him Samuel, saying, ‘Because I have asked him of the Lord’” (vs. 20, NASB). Be assured the Lord hears you when you pour out your soul to Him. You can trust Him with the tender places of your heart. Have you wanted something so badly that it ached? And then to make things worse someone else had what you were longing for. It is irritating and painful, and can leave you hollow; fighting for hope amidst the heap of ashes at your feet. Left unguarded your ache can drive you away from the Lord or it can drive you to your knees. Hope can be found at Jesus’ feet. He willingly died on the Cross—and rose again—so that you can be emptied of sin and filled with His Presence. Like Hannah, may your desperation give birth to dedication as you cling to His unchanging hope despite your circumstances. 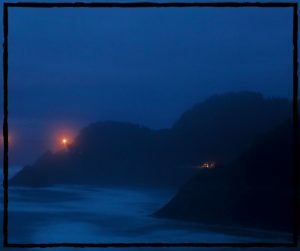 May Jesus’ love light the way through the gray as you take the next step towards Him. Katie M. Reid is a tightly wound woman, of the recovering perfectionist variety, who fumbles to receive and extend grace in everyday moments. She delights in her hubby, five children, and their life in ministry. 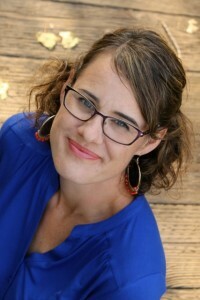 Through her writing and speaking, Katie encourages others to find grace in the unraveling of life. P.S. Here is a free gift from our heart to yours! As Katie waited to adopt she recorded an album, Echoes of My Heart. As a special gift Katie is offering a free download of a song from that album entitled, “Waitin’ On Someday”. May you be encouraged as you keep trusting the One is with you through it all. Some nights, my little girl stops me from heading out of her bedroom after I’ve tucked her in. Before I move on to the next kid’s room, she needs me to help her sort through scary questions, unfathomable for a just-turned-9 year-old. Matters of life and death and everything in-between. It’s a gift to talk deep with her, because I get to point her to the HOPE I know, again and again. I get to help her see where Jesus resides within the gains and the losses of this world. But it also tears my heart out. She’s seen enough now to know it’s not all going to be okay. Not in the way we would like it to be. She’s seen the broken way of things here. She’s walked through loss and several near-losses with us. She’s wiped tears and cut out pink heart-shaped cards, adding stickers and cursive I love you’s. She’s served up comfort in mugs of hot tea with a side of dark chocolate & almonds. She knows things I wish she didn’t know. It’s a terrible world, one with ISIS and earthquakes and anger and leaving and loss. It’s a world where we sometimes shake our heads and cry and say I don’t know. I don’t understand. Recently a friend of ours lost his sister suddenly. She was younger than me. She’d had a hard run, and when he stood to speak at her funeral, he said, It seemed like she could never really catch a break in life. He shared what he has left of her, his memories. He talked about how she loved to put together 5,000-piece puzzles, and laughed that there was one currently spread across a table at Mom and Dad’s house–missing that one piece like always. Then he asked a question, and it left a lasting picture in my mind. What’s the most important part of a puzzle? It’s the top of the box. The completed view. The picture of how things are supposed to look in the end. Without that, we don’t know where we’re headed. Without it, the puzzle doesn’t make sense. That day, remembering his sister, was a little like putting together a puzzle without the box top. Without that one missing piece. Why did God allow it? We don’t know. Will it all be okay? Yes, and also no. What we do know: Jesus resides within the loss. 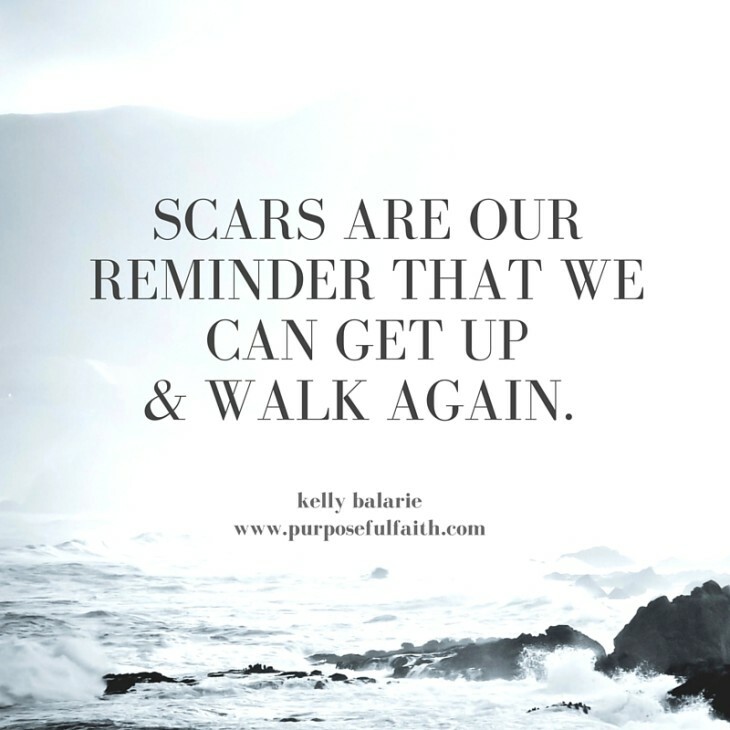 It hurts, and God still moves. He is working toward the good of drawing us each to Him. One day, the losses will end. He will bring so much beauty out of all this chaos. It will be okay, but only because Jesus never loses the view of the top of the box. It will be okay, because of Who God is–the Eternal God and the Everlasting Father. Because He is Good and He cares for us. Because He is full of Mercy and Kindness and Grace. It will be okay, because we trust in Him, even when we don’t understand. We see blurred images in this mirror, but one day we will see clearly. Life is a puzzle, and today we’re missing the finished view. I’ve been praying lately, to be rid of this flesh-eating bacteria. I know, trust me, I know, it sounds weird. And, I guess you wouldn’t even call it a “flesh-eating bacteria,” because it is more like “soul-eating bacteria.” Or maybe a “peace-eating bacteria”. A “night-time sleep-ruining bacteria. It chases at my heels telling me I should settle tomorrow’s emotions rather than claiming right now’s peace. You too? It smothers hope; making you desire fix-it dope to feel better. It exchanges the peace of God for fear of _____. It stunts the muscles God plans to grow during trials. It eats joy, causing doubt. Because these things blind me. Do you see anything when you worry? Where does worry incline your eyes? People like trees? Jesus, the miracle-maker, the Prince of Peace, the great physician left this man seeing – trees? Did the greatest healer – fail? What kind of jacked-up miracle was this? Notice: The blind man did not focus on the Man with Power, but the people with none. The very God before him – he did not see. But, he what did see was – his issue. Where do your eyes head 10-minutes after you get with God? Sometimes our focus prevents us from seeing – and receiving – God’s greatest work. Like a stray lover, we look at everyone but our first love; we miss his best intentions towards us. We can’t see, because we are too busy looking elsewhere. We become infected with the virus of looking-at-man, looking-at-issues or looking-at-distractions. We partially see God, but we mostly do not. If we focus on people over the person of Jesus, we’ll never see progress. But, if we focus on the person of Jesus, before the face of our problems, we will face peace. 1. Wake and seek Jesus as our first thought, our day often is established. 2. Pray and expect God to answer, we get excited to see. 3. Look in order to find God we, many times, do. 4. Ask to see the Lord’s handiwork it becomes more obvious. 5. Hope and request to feel his love, it circles. 6. When we believe that God can do the unthinkable, we perceive God can do the unthinkable. but because Jesus was entirely – in his eyes. When he opened his eyes, the second time, unlike the first time, he didn’t see problem people, but Jesus, all Jesus, the full-force of Jesus in power and glory, standing right before him. You simply cannot come face-to-face with Jesus – you simply cannot let him into your heart – without something miraculous happening. This man? With the radiant power of Jesus before him, all he could do – was see. For, Jesus, the man known to have eyes like torches (Dan. 10:5-6) opened his vision to a whole new path. A path to recovery. 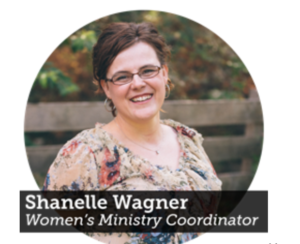 Today, I am overjoyed to welcome Shanelle Wagner! Her words speak encouragement and life. Shanelle is the Women’s Ministry Coordinator at First Denton Church. Shanelle, we are thankful for you and everything you do! Keep trekking into your calling. Are you seeing a storm full of no’s, changed plans, erupting conflicts and sideways suggestions? God brings us to situations that are more than we can handle alone, so we can depend on Him. James tells us to consider it joy. 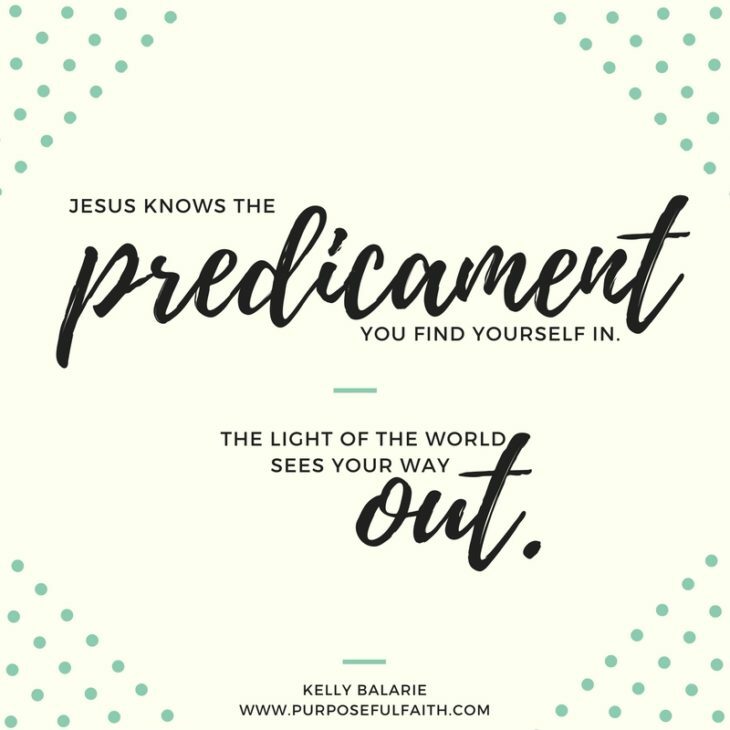 I used to roll my eyes in unbelief and run from this idea, I just couldn’t’ wrap my mind around how the bad should make me joyful…but He has been patient with me, gently pursuing me. And this is what I’ve discovered: God is faithful to work in these types of downpours. These bolts of doubt, waves of no’s, changed plans and conflicts test maturity. They indicate where you are. They are not used for the purpose of shaming, chastising or catching you. On the contrary, they are because he cares for you. Because He is about to take you to the next level. 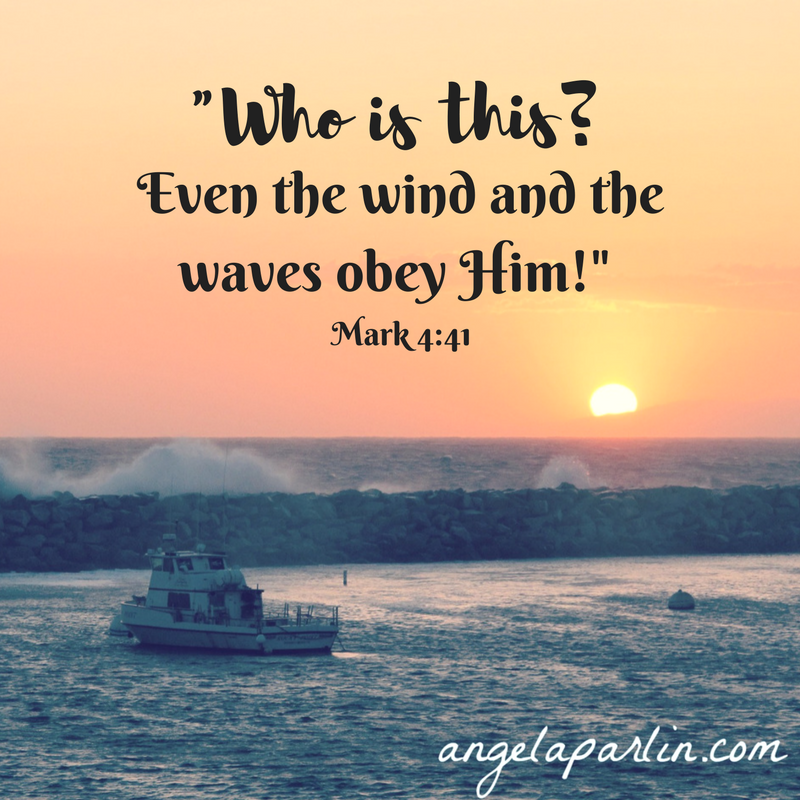 He lets you see where you are weak, so you can see how to be strong – in Him. Now, if you fall and revert back to your old ways, don’t panic. He has more work to do with you to strengthen you for the next level. 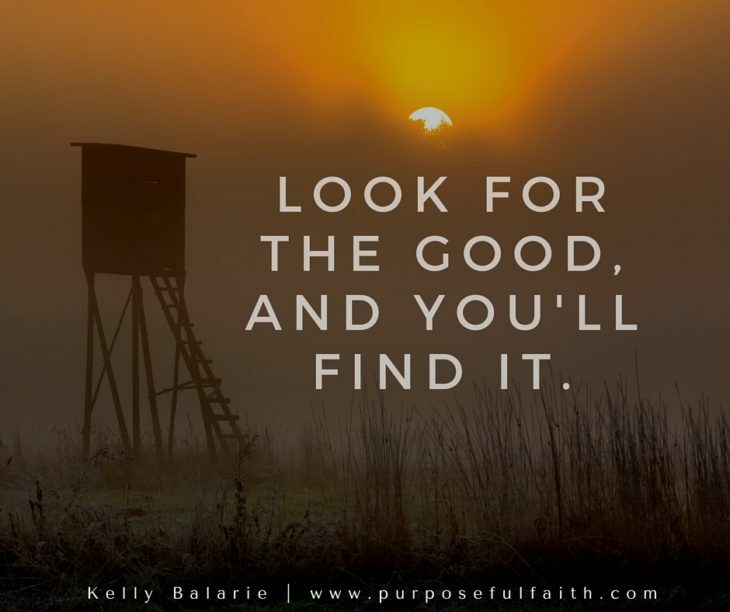 One thing I have come to learn, though, is he loves cooperation and willingness (Example: bible study, confession, accountability, recovery group). I believe, it is all worth it, for what you find is: the testing proves out – your progress. Ever noticed this? When you see progress, it offers a confidence a boost. God is preparing you. He does this for the ones He sees and loves. The ones He has specific plans and purposes for. This is you. This is me. Hanging on. Trials can certainly leave you empty and ravaged. 1. Fix your eyes on Him, know who He is and believe His truths. (2 Cor. 4:16-18). Remember you are not alone. He sees you and all you are experiencing, He knows. Let His peace comfort you. 2. Cast your cares on Him. To cast something you must first hold it, look at it, perhaps name it, then you can cast it at His feet (1 Peter 5:7). Know He is with you, sit with Him, and ask Him to help you name the struggle and what is going on inside of you. Tell Him why it bothers you and how it makes you feel, act, think. 3. Trust what he is doing with the no’s, changes, and interruptions (Prov 3:5). Thank Him for the good. Thank Him for the sun in the sky. Thank Him for the drive thru that offers you a hot drink on a rainy day. Just thank Him for it all. Thank Him for the work He is doing that you cannot see or understand ()1 Thess.5:18. God can be trusted to complete the good work He begun in you. He is there in the storms. Shanelle is a wife to a super supportive husband, who happens to be her best friend and biggest cheerleader in life. She is also a mom to two young boys. Shanelle entered vocational ministry when her oldest was a toddler and her youngest came along 17 months after that. She has been learning the ropes of ministry and motherhood simultaneously. Shanelle will tell you that both are the hardest jobs she could ever love. Shanelle can tell you many stories about Lord’s faithfulness all along this journey! Her days have truly not been her own…even though She confesses to wrestling Him weekly for them. She will tell you of His is graciousness and patience while she has learned to let go and let him…. work everything out for His purposes. Shanelle has personally lived out Proverbs 16:9 and 2 Corinthians 12:9, He orders our steps and He is strong in our weakness. She has had to depended on Him to show her every step to take, and there have been times many, many times where anything that was accomplished was not of her own strength, but His. Shanelle continues in her role as Women’s Ministry Coordinator at First Baptist Church Denton, while enjoying the abundance of giggles, cuddles and love with her family.